Update 12 $12K reached, Final Goal! Update 11 $10K reached, New Goal! Update 10 Two more goals reached, Summon vote! Update 9 Last goal reached, three more goals! Update 8 More stretch goals! Update 7 Goal reached, stretch goal unlocked! 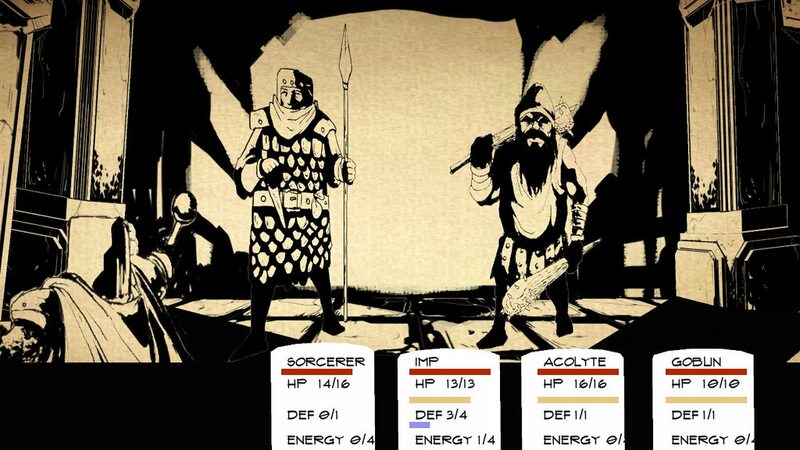 Paper Sorcerer is a first-person turn-based RPG with adventure game elements inspired by Wizardry, Dungeons and Dragons, and Shadowgate. Strategy over grinding battles, with a charge based spell system. Create a party of summons to join you as allies in battle. Discover open-ended puzzles and solve them with a combinations of spells, items, and your wits. Hand-drawn high-resolution sprites inspired by the work of late eighteenth and early nineteenth century illustrators like Aubrey Beardsley and William Bradley. 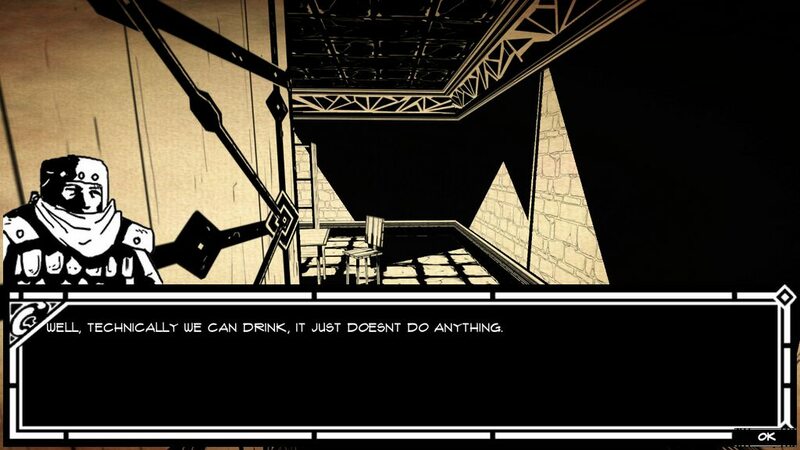 DRM-free for PC, Mac, iPhone, iPad, Android, and possibly Xbox Live Indie Arcade and web-browser. I’m a lifelong gamer that’s wanted to make video games since I was a kid. Besides mad scientist, its the only job I’ve ever aspired to, and I don't think that’s gonna happen. I started gaming with an Atari 2600, so I grew up along with the video game industry. The art in paper sorcerer is the culmination of all I’ve been working towards in my personal art. I’m just working on this game on my own in my spare time. Although RPGs are one of the hardest games to put together on your own, you gotta do what you love, right? First, battle mechanics: There are no to-hit rolls [all attacks always hit, except for special abilities that give a chance to dodge], instead all characters have a defense bar, which reduces incoming damage by a static number, for example, if you have a defense of 6, it'll subtract 6 from every attack that hits you, and your defense meter will go down one. Your defense is adjusted by armor and certain skills. In addition to normal attacks, all characters have attack skills, these skill take anywhere from one to three rounds to refresh [to be usable again] and they're unique for each character, for example: one of the first summons you get, the goblin, has a stealth ability that gives him a chance to dodge attacks. Normal attacks and skills both charge your energy meter. You use energy to execute more powerful abilities. For example: the goblin's trick attack dazes the enemy in addition to dealing a little extra damage, but using it costs energy. The main goal in a system like this is to make it so that you don't constantly use only your normal attack, you have to strategically use all of your abilities. I'm currently balancing the game to be more difficult so that it encourages the use of all your skills and powers. Now for the summons and character customization, there's currently a total of twelve summons planned for the game. Each summon has a base class, and once each reaches a certain level, you'll have a choice of two advanced classes. Another big mechanic is the search function. 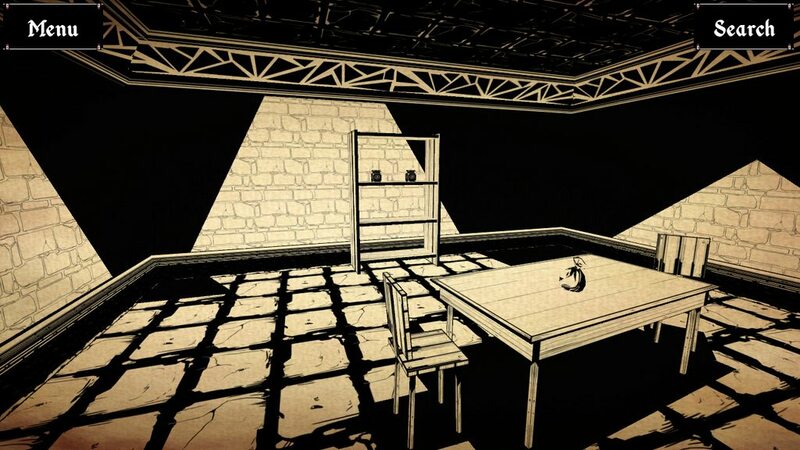 Certain rooms, after you defeat all the enemies in the level, will have a contextual search icon appear in the corner. I have the framework for all the elements in place; all the stats are setup and working, the skills, status effects, and spells all function as they’re supposed to, I have a rough version of all the menus and UI, the battle system is in place, the adventure elements are implemented in game, and the ability to use items in the environment is all in. However at this point everything is still very rough. There are some minor usability and presentation issues that need to be ironed out. In addition to more polish what is needed now is more assets. More summons, more levels, more spells, more tile sets, an introduction and tutorial sequence, basically more of everything. What Will My Pledge Do? If funded, I expect this project to take until near the end of August. From now until the end of May, I'll be working on getting all the menus and usability issues worked out, and some early testing on as many platforms as I can. All of June is going to be dedicated to making levels and content. And testing those levels, with a lot of iteration on level design. In July I will be making more content as well as making the intro movie, ending movies, polishing gameplay, tutorials, etc. August is all about balancing and bug-testing builds. Making sure that I can distribute on all the platforms, working out all the deliveries, organizing all the rewards. Achieved If we make more than $5500, then I'll add an extra summon to everybody's copy of the game, and several optional levels you can go through to unlock it! It's called the Living Doll*, and it's a blank slate character that you shape based on your play style. You could raise its strength and make it your heavy hitter, with devastating physical attack skills; or you could raise its dexterity and make it an agile thief, whatever you like! Achieved At $8,000, I pledge to purchase a license for Unity Pro, thus enabling the game to have custom splash screens [none of the Unity ones], fullscreen rendering, and other extra cool things. The new bonus, is that every pledge $5 or more gets another exclusive desktop wallpaper! Achieved At $8500 I'll sign every box copy I ship. That's a signed box copy for every pledge $25 or higher! Achieved At $9000 you guys get to vote on what the two bonus summons will be! Every backer gets a vote when we reach this level. Achieved At $9500 I'll make a new skin for the main character! When you start the game you'll get to choose which skin you want. This is for all copies of the game. Achieved At $10,000 I'll add a new summon, the Giant! I'll also add in several more dungeon levels with new enemies. Every backer gets these, it'll be in every copy. Achieved At $12,000 every backer gets a beta to playtest and I'll listen to all of your input. This'll most likely go out early-mid August so that I can have enough time to take in your input and implement it for the final release. Achieved At $13,000 every backer's name will appear in-game, in The Tome of Heroes! Thanks everyone for taking the time to look at this, even if you don’t pledge, I appreciate your interest and I hope you pass the word along. :) I'd also like to say thank you to all my friends and family who've been supporting this endeavor. The Donor - My undying gratitude, a thank you message, and a place in the credits of the game. 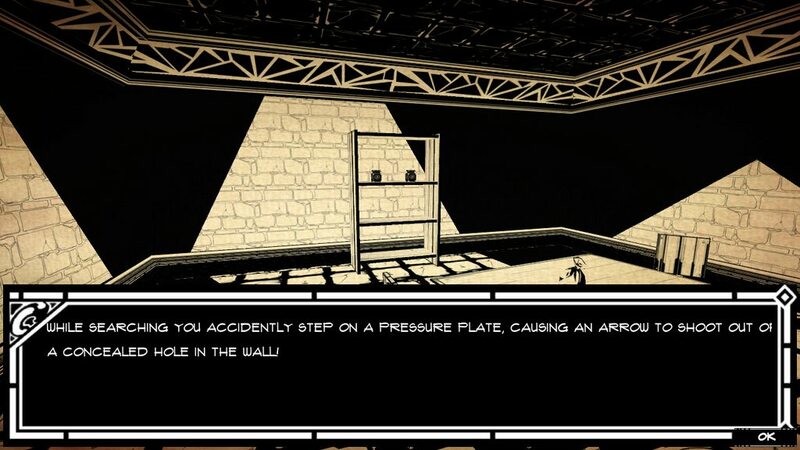 The Player - A copy of the PC version, and if it is allowed or possible, copies on all other platforms. Includes all previous rewards. The Appreciator - An awesome exclusive desktop background. Includes all previous rewards. You'll receive a download link for the full soundtrack. A DVD with the game on it, in a DVD case with double-sided cover slip. PDF/CBZ limited artbook and honorary supporter status in credits and your [special] copy of the game will feature two extra summons. The Mailer - Exclusive christmas card featuring me and my cats sent to you on Christmas. Includes all previous rewards. The Public Notice - Poster for the game. Includes all previous rewards. The Art Lover - A drawing commission: a drawing of you, your friend, a character from the game, or whatever else you please. Includes all previous rewards. The Hero - Hero named after you in game (within reason). Includes all previous rewards. The Founder - Early releases (and we'll listen to everything you have to say about it!) and a personally written and signed letter thanking you for your awesome donation. Includes all previous rewards. The Creator - Your own hero or object in the game, within reason (we'll discuss!). Includes all previous rewards. The Lifetime Benefactor - Every game Ultra-Runaway Games makes from now on. Includes all previous rewards.